Girlie's Crochet Issue # 019! Hello fellow Crocheters. I feel good that I am able to send off this newsletter again. I need to apologize for missing last month’s edition. I hope that the following will briefly explain what has been happening and why the sudden absence from the crochet scene. For the past few months, the maintenance and upkeep of the website was covered by revenue from Google’s Adsense and donations from the PDF files for the popular patterns. But lately, there was a sudden drop in revenue, a bit drastic, but manageable to a certain point. It was something that we were not expecting. 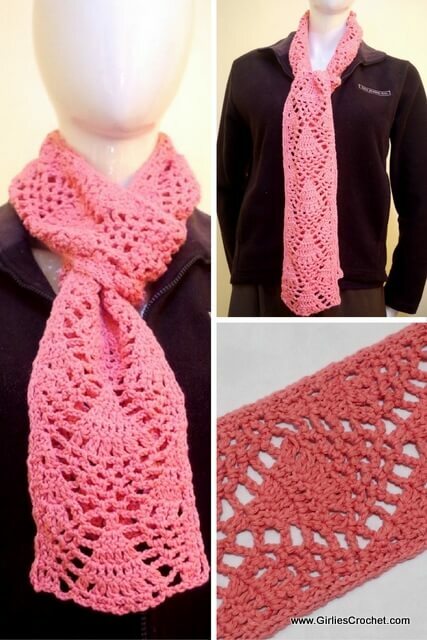 This Diana Crochet Scarf is a fairly complex stitch made simple by creating a pattern that is simple and easy to understand. 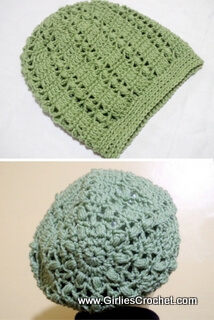 A great project for beginners that are adjusting to more complex stitches.